Most parents are up in the air to potty train or toilet train their children. All kids aren’t ready when they are in the same age. Now, it is necessary to keep a watch on your kid to see for any signs of any kind of readiness, like clutching her or his diaper. It is important for your child to be emotionally and physically ready for toilet training. Many kids are ready to start when they are from 22 to 32 months of age, however, each child is different. Sometimes, toilet training can be a frustrating and long process, especially if you start it before your kid is ready. Keep in mind that before your kids use the toilet, they need to be able to control their bladder and bowel muscles. Some of the major signs of this control are not having bowel movements at night, having bowel movements at the same time each day, and having a dry diaper after a nap. Furthermore, your kids must be able to talk, climb, remove clothing, and master other major motor skills just before they start using the toilet by themselves. There can be some difficult and stressful situations when you might have to avoid or take a back seat with regard to the toilet-training process. Some of these situations are while traveling, during the time when a sibling is born, moving from a crib to a bed, when your kid is sick (in case of having diarrhea) and moving to a new location. In such cases, it is better if you postpone your child’s toilet training until the environment is secure and stable. Now keep in mind that teaching your kid to use the potty is not an overnight or easy experience. The entire process might take days or even 3 to 6 months. In addition, certain little ones might learn to make it through the night or day without soiling or wetting themselves and using the potty, but it might take an additional one or two months to even years for mastering the chances of being dry during the day or night. A baby-size seat which can be put above your toilet seat. This will allow your kid to feel a bit secure and avoid the fear of falling in. A standalone, toddler-sized potty chair that contains a bowl which can be emptied into the toilet. Now if you select the modified toilet seat, you really need to think about purchasing a stepping stool. This will allow your kid to reach to the seat easily and feel supported and stable while having the bowel movement. Try to use words for expressing the behavior or need of using the toilet like potty, poop and pee. Enquire with your kid to make you aware when the diaper is soiled or wet. Identify the behavior so that you kid can know and differentiate among pooping and peeing. Use a potty chair so that your kid can sit on it and feel the hang of what need to be done. Initially, your kid can sit on it clothed along with the diaper. When he or she is ready, then they can go without a diaper. Keep aside certain time of your day for toilet training. Avoid forcing your kid to sit on the toilet against their will. Create a routine, like it will be better if you start the toilet training by having your kid sit down on the potty, right after waking up with a dry or clean diaper or 30-45 minutes after drinking lot of fluids. Furthermore, you might be able to catch your kid peeing. Make sure that you put your kid on a potty for few minutes for a certain days and allow your kid to get up when she or he wants to. Show to your kid on how you sit on the toilet. Also, explain to him or her on what you are doing as your kids learn by observing you. Also, you can make your kid sit down on the potty seat and observe while his/her sibling or you use the toilet. To conclude, toilet training depends on your kid. Nowadays, kids are clever and will inform their parents when they are ready to go to the toilet. You should have installed a best toilet for your kids in your home. 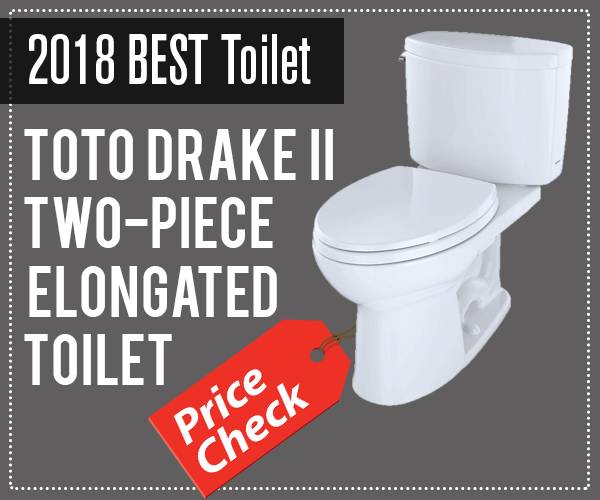 Look into toilet reviews on our website while choosing a toilet.